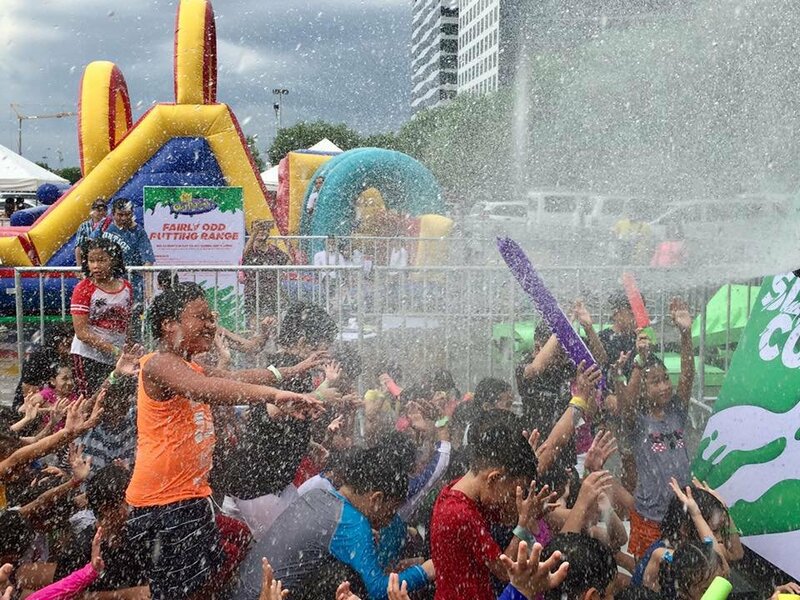 PHILIPPINES, 30 MAY 2018 – The first Nickelodeon Slime Cup in the Philippines was a success, attracting over 4,000 kids and their families on 26 May. About 3,500 liters of Slime were produced for the Slimiest integrated sports festival, with Slime the main ingredient to a number of the sports-oriented activities set up for kids and their families to have fun. The event served to reinforce Nickelodeon’s long-standing commitment in encouraging kids and their families to have fun while keeping a healthy lifestyle. 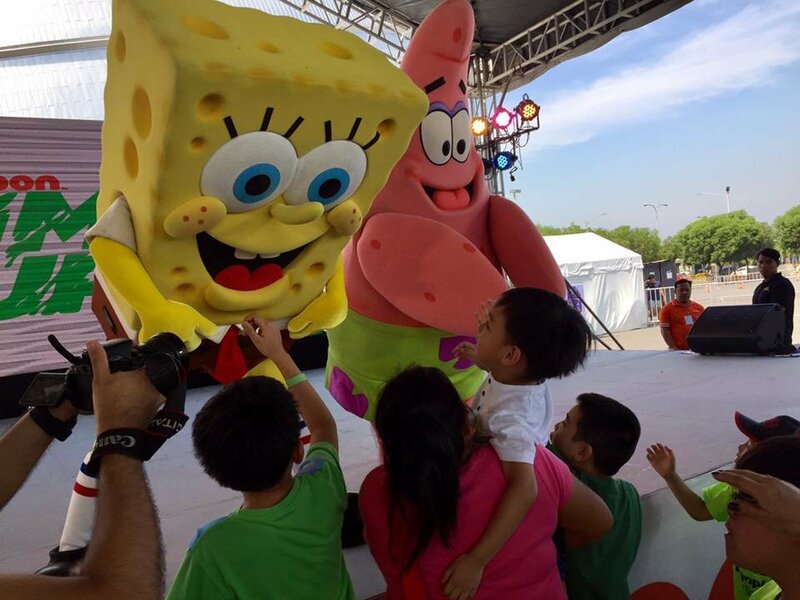 Held at the SM Mall of Asia’s concert grounds and with Sky Cable as affiliate partner, the event allowed attendees to get up close and personal with the green Slime that is Nickelodeon’s badge of honor. Kids showed that they were game to play by taking part in slimy obstacles, engaging in stage games, or posing with beloved Nickelodeon characters in photo-taking sessions. “This is the very essence of what the Nickelodeon Slime Cup is about – Slime fun time for kids and families! It sums up the playful, surprising, cheeky and spirited nature of Nickelodeon… and of being a kid. We’re all about creating surprising and playful entertainment experiences everywhere we go, with the added benefit of promoting a healthy lifestyle at the biggest and Slimiest integrated sports festival in the Philippines,” said Dinna Zaratan, Country Manager, Philippines, Viacom International Media Networks. - Kids showed off their sporting spirit and had the time of their lives at five Game Modules which took inspiration from Nickelodeon’s shows such as SpongeBob SquarePants, the Teenage Mutant Ninja Turtles and The Fairly OddParents, while celebrating Nickelodeon’s trademark Slime. - A Slime Salon where kids could refill their Slime blasters and have more fun while going through the Slime modules. - Snagging a pass for the Photo-taking Sessions, to share the stage with well-loved Nickelodeon characters like SpongeBob SquarePants, Patrick Star, and the Teenage Mutant Ninja Turtles. - And wrapping up a Slime-drenched day was the Finish Slime – where kids could get Slimed the awesome Nickelodeon way! 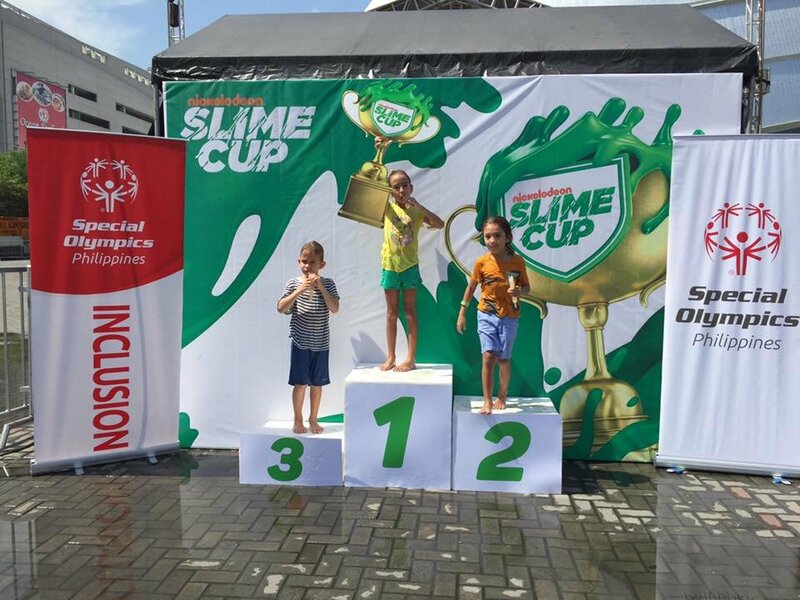 In addition, Nickelodeon Philippines partnered with the Special Olympics Philippines by inviting the children of the organization to participate in Slime Cup. This partnership aligns with Nickelodeon’s international initiative, Together For Good, to empower kids to make positive changes in the world around them. Through the silliest and Slimiest challenges, the kids engaged in Unified Sports to bring about camaraderie through play. The Special Olympics movement promotes Unified Sports, where people with and without intellectual and developmental disabilities are brought together to learn sports, compete, and be friends on and off the playing field. Nickelodeon, now in its 39th year, is the number-one entertainment brand for kids. It has built a diverse, global business by putting kids first in everything it does. The company includes television programming and production in the United States and around the world, plus consumer products, digital, recreation, books and feature films. Nickelodeon is one of the most globally recognized and widely distributed multimedia entertainment brands for kids and family, with 1.2 billion cumulative subscriptions in more than 500 million households across 170+ countries and territories, via more than 100+ locally programmed channels and branded blocks. Outside of the United States, Nickelodeon is part of Viacom International Media Networks, a division of Viacom Inc. (NASDAQ: VIAB, VIA), one of the world’s leading creators of programming and content across all media platforms. For more information about Nickelodeon in Asia, visit www.nick-asia.com. Nickelodeon and all related titles, characters and logos are trademarks of Viacom Inc.
Special Olympics is a non-profit organization that provides year-round sports training and competition in a variety of Olympic-type sports for children and adults with intellectual disability. Aside from sporting activities it is the world’s largest provider of healthcare to people with intellectual disability. Founded in 1968 by Eunice Kennedy Shriver, the Special Olympics movement has grown to more than 4.4 million athletes in 170 countries. With the support of more than 1.3 million coaches and volunteers, Special Olympics delivers more than 81,000 games and competitions throughout the year in 32 Olympic-type sports.